The World Health Organisation recommends one physiotherapist for every 1,200 inhabitants. 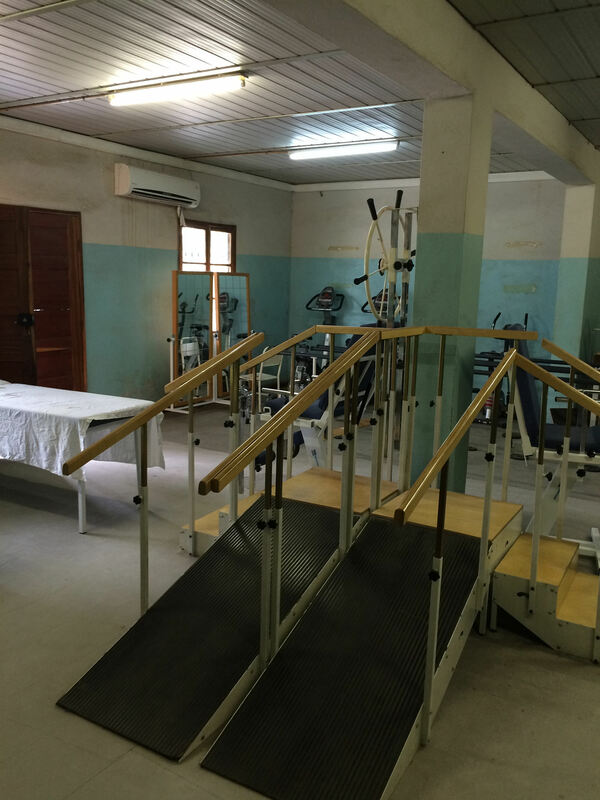 Today, there are 4 qualified physiotherapists in all of the Gambia. In Mozambique there are 23, and 125 technicians. In light of these alarming figures, in 2014 the project Fisiàfrica saw the light with the participation of universities that are part of the Xarxa Vives, such as the Miguel Hernández University of Elche, the University of Girona, the University of Lleida, and the University of Vic –Central University of Catalonia in collaboration with the Mozambique Higher Institute of Health Science, the Mozambican Ministry of Health (MISAU) and the University of the Gambia, with the support of the Spanish International Development Cooperation Agency (AECID). 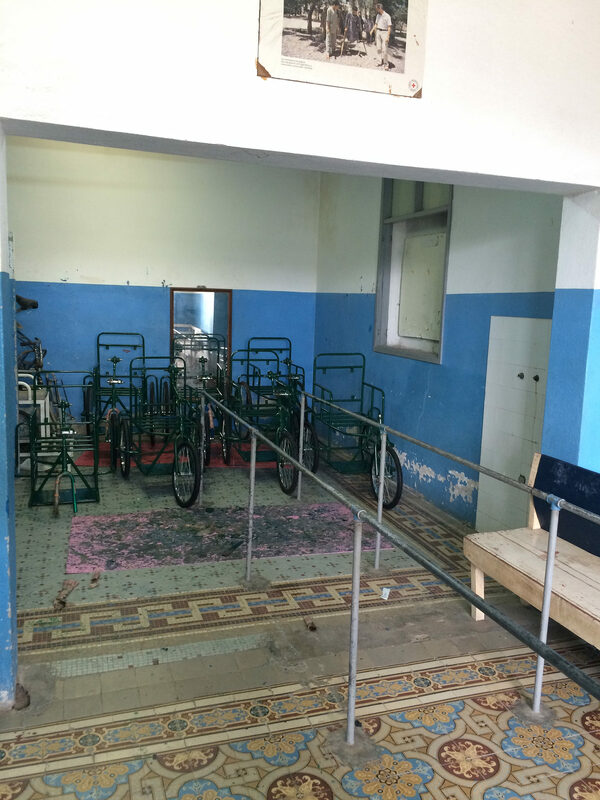 This project has two main goals: on the one hand, to create and strengthen higher education in the field of physiotherapy and, on the other hand, to implement physiotherapy as a community healthcare service. Initially, the project started in Ghana and, once it concluded, was extended to the Gambia and Mozambique for the period 2014-2017. Health goes hand in hand with development. Actually, health indicators and social-economic indicators are co-related, as are educational indicators. The precariousness of African healthcare systems goes back to the colonial times and further worsened with the crises in the 80s and 90s. The lack of access to healthcare centres with qualified professionals and medicines means that, for instance, the African continent continues to be the region with one of the highest infant mortality rates; 107 children under the age of 5 die per every 1,000 births, according to the report World Health Statistics published by the WHO in 2013 with data from 2011. This also leads to a low life expectancy. For instance, in the Gambia, the average life expectancy is 58, and in Mozambique it is 53 (data from 2013). With such a weak healthcare framework it comes as no surprise that functional rehabilitation in Africa is also in a very precarious situation. On this continent, the main causes of morbidity and disability are due to HIV/AIDS, tuberculosis, malaria, pathologies linked to maternity and nutritional deficiencies; all these causes are, in part, due to poor hygiene, environmental factors (important, for instance, in infectious diseases) and social-economic factors. As reflected in the Fisiàfrica report, “poverty and disability (as is also the case with diseases) are closely interlinked, in a vicious cause-effect circle. Poverty leads to an increased likelihood of becoming disabled, especially because of the lack of rehabilitation therapies; at the same time, disability contributes to raising poverty, meaning that most people living with disabilities in developing countries live in poverty”. 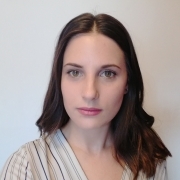 Carme Campoy is a physiotherapist and anthropologist and is the person who, since 2012, has been coordinating the project Fisiàfrica in the Gambia. She says: “generally speaking, all countries in sub-Saharan Africa, with the exception of a few more developed ones, need training and implementation programmes for physiotherapists. In a number of African countries, when they gained independence around the 1960s, many of their qualified professionals left and during recent decades technicians have been trained to meet the needs of their populations, but there is much more to be done”. During her career, Campoy has been in charge of studying the importance and the influence of tradi-therapists, the practitioners of traditional medicine. Africa has a large number of practitioners of traditional medicine, considered by the WHO as an important element that is to be maintained. The precarious healthcare situation in many African countries makes it important to include community healthcare providers in any healthcare planning, among which are the tradi-therapists, who are especially important actors. The result has been the creation of many formal associations of traditional medicine specialists. This initiative can bee seen both in the Gambia and in Mozambique, and this has facilitated the relationship between the actors from the different medical systems that operate in the African societies. Another aspect to be taken into account is the local know-how, which are very often holistic and adapted to the realities that have given birth to them. In the Gambia, for instance, there are over 500,000 plant species, 10% of which have potential healthcare uses. Elisa Bosch is a teacher and physiotherapist at the University of the Balearic Islands and she has participated in Fisiàfrica in Mozambique; she explains how interrelations work among the healthcare actors in childbirth in Mozambique: “In the Zambezia Province, for instance, there are only 6 gynaecologists-obstetricians. Usually, giving birth doesn’t happen in district hospitals, but rather in level 1 maternity wards, where there are no doctors. Episiotomies are not routinely carried out and epidurals are not provided unless there are complications requiring surgery. Furthermore, there are also official midwives, who are women chosen by the community and undergo a 2-year training course and extensive experience in maternity wards. They are the ones who help deliver babies or know when to refer a mother in the event of complications”. Bosch is a physiotherapist and specialises in gender and health research. 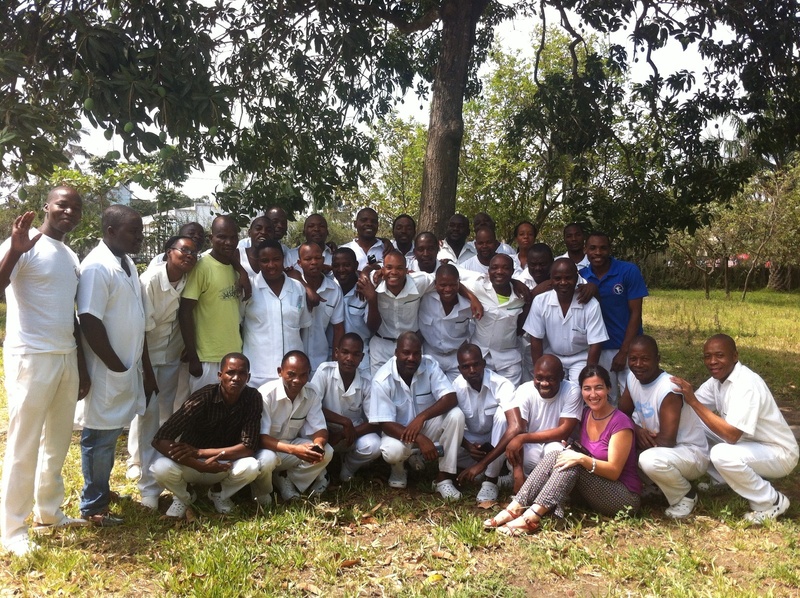 She coordinates the project in Mozambique, which mainly focuses on training future physiotherapists. “I will never find enough words to describe all the positive things that I get from my relationship with the students. There were thirty-three students, thirty men and three women. Their previous qualifications consisted in being middle-level technicians in orthopaedic prostheses or physiotherapy, and they all had previous experience”. The goal of this training is to improve the situation in the country, which ranks at the bottom of development rankings. In terms of rehabilitation and physiotherapy, the most usual cases are due to psychomotor delays due to infant malnutrition, neurological affectations such as strokes, and the repercussions of HIV and AIDS, with a high presence in Mozambique, one of the 10 most affected countries in the world. Carme Campoy explains that, for her, the outlook for Fisiàfrica would be “that in the future, there could be studies on speech therapy, occupational therapy and a medical speciality in rehabilitation so that the population can have these professionals. Right now, however, talking in these terms in the Gambia is like a dream”. Elisa Bosch highlights the decentralised nature of the action, in Mozambique in her case: “there has also been a selection of healthcare personnel in all of the country’s provinces, so that not all future physiotherapists stay in the capital, as usually happens in other African countries”. In a near future, the focus will be on Mali. 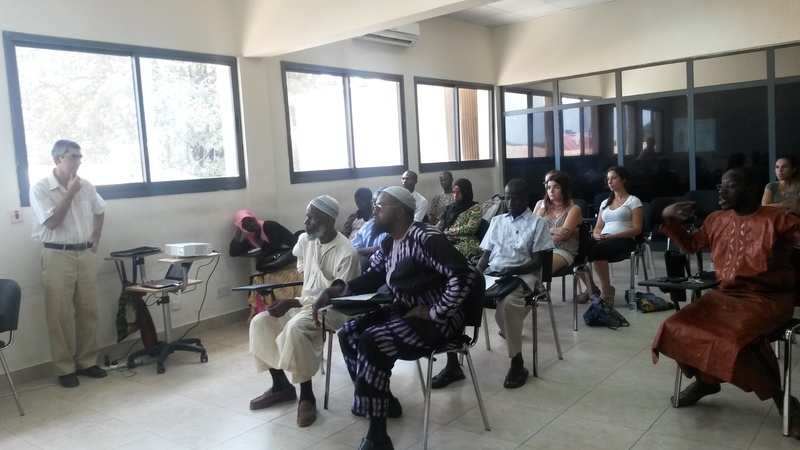 During her last stay in the Gambia, Campoy visited the country to contact the National Institute for Health Sciences (INFSS), a public institution in charge of providing training in nursing and physiotherapy.